There are times, humbling times, humiliating times, when I have to concede that Aidan O’Brien may know rather more about racing than I do. It’s most times, on most days. But there’s one instance, in particular, that rolls around almost yearly, whereby the time and form of Timeform say one thing and the style and guile of O’Brien does another: and Aidan always wins. Magna Grecia in 2018 was the latest of nine winners for O’Brien in the Vertem Futurity Trophy, the erstwhile Racing Post Trophy, the majority of which were lower on experience and lighter on form than others in the field, not that it was reflected in their SP nor, by and large, in their performance on the day, a triumph for feel over figures. And ‘feel’ in this sense is formed and forged in familiarity, of drawing a line from the past to the present by projection, a case of coming and going, of knowing what’s coming by understanding what’s gone on, and who’s gone on. The roll of honour for the Futurity at Doncaster illustrates the art and craft of Ballydoyle of generally knowing what its horses can do before they do it, something which extends into the classic campaign when a selected squad take in the trials, some falling on stony ground – such is the nature of trials – but a lot living up to it, factored and forecasted by an SP which stands for ‘some projection’ and not only starting price. But that’s the Flat, and maybe because it’s the Flat, which deals substantially in developing horses, the two- and three-year-olds, that the approach to some big races – in the manner, in the mind and in the market – is different to that over jumps, and I’m referring here specifically to Laurina , the odd one out of the 27 horses that filtered through the latest Champion Hurdle stage on Wednesday. Laurina is one of six six-year-olds, one of five for Mullins, one of four previous Festival winners, one of three mares, one of two at shorter than 10/1, but she’s the odd one out for an unbeaten record in Britain/Ireland, for a Timeform ‘p’ and for the way she’s being addressed and assessed in the context of her price. The case for the prosecution, at odds with her odds, is simple but stark, sighting that nothing she’s done entitles her to be so short, jumping to conclusions, in jumping-based conclusions, but her price is more rational and more reasonable using the Flat formula which focuses on where she’s going as much as where she’s been, along with exactly who is sending her there and his feel for it. And ‘feel’ in this sense is formed and forged in familiarity, of drawing a line from the past to the present by projection, a case of coming and going, of knowing what’s coming by understanding what’s gone on, and who’s gone on. Because what applies to O’Brien applies to Mullins, a master of his craft who knows not just what a Champion Hurdle winner looks like but what a Champion Hurdle-winning mare looks like. Annie Power won the Champion Hurdle in 2016, a month before Vroum Vroum Mag won the Punchestown version, both far further along their curve than Laurina is but very relevant all the same, given the connections to the connections. Even with the 7 lb mares allowance, Laurina remains 10 lb shy of Buveur d'Air in Timeform terms, but the aged adage of ‘you can only beat what’s in front of you’ rings true in her case, as running to big ratings is as much about opportunity as ability, and, in the company she’s kept, Laurina just hasn’t had the opportunity to deliver a championship-standard performance; in actual fact, it’s powerful and purposeful that she’s got as high as she has given those races, her oppression saying more than her opposition ever could. 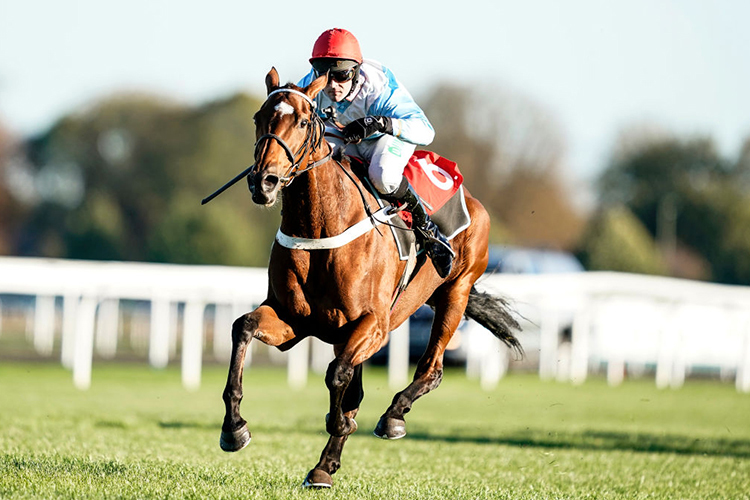 That’s not to say that Laurina will win the Champion Hurdle, but looking at her that way, more the Flat way, at least makes sense of her position and price in the market, more so when a fault-line was exposed in Buveur d’Air over Christmas, by none other than a mare, Verdana Blue, who would be odds against in a match bet with Laurina at almost anywhere away from quickish ground around Kempton. On the Flat, because of the age and stage of the mainstay of its population, we’re conditioned and compelled to factor in all the valuable extra evidence besides form in the book, but suppositions and standards, like the horses themselves, are, in the main, more fully-formed over jumps, which perhaps explains the resistance to Laurina and her incomplete picture, compared to the fine art of Buveur d’Air and others. 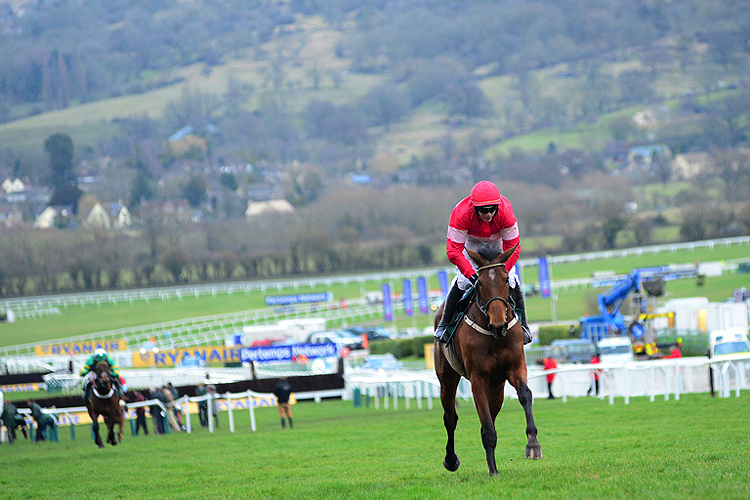 The market articulates that Laurina has around a 20% chance of winning the Champion Hurdle. That sounds reasonable, at the least, doesn’t it, considering the climate - of a defending champion who was given a black eye over Christmas, and few if any other credible challengers – as well as the trajectory of Laurina and, moreover, the team around her, who have been there, done that and got several t-shirts. Racing is as simple or as complex as you want it to be, but the simplicity of putting a number on Laurina’s Champion chance contains the complexities of estimation by exemplification, less of the fixed form lines and more reading between them. Like the earth, the Flat approach makes Laurina more rounded.